“We all aspire to have a healthy lifestyle, to feel successful and to be happy”. Goncalo Dorje Pinto’s speaker session at the Feng Shui Society Conference 2018 – ‘Nature in Office Space’ – was a truly enlightening view of our world today, and holds many parallels with Feng Shui beliefs and practices. Meaning ‘Love of Life’ Biophilia focuses on the innate human connection to Nature and other life forms. 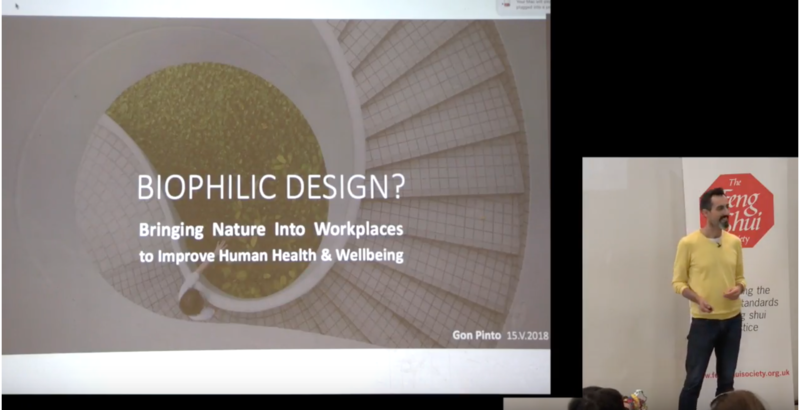 Biophilic Design uses these ideas as principles to create a human centred approach that when applied improves many of the spaces that we live and work in today, with numerous benefits to our health and well-being. Goncalo describes it as a ‘Sustainable Design Method to create balanced and positive spaces to live, work and learn, reconnecting people with nature as well as improving the individual and collective Human Health and Wellbeing’. The World Health Organisation expects stress related illness, such as mental health disorders and cardio-vascular disease, to be the two largest contributors to disease by 2020. With a diminished connection to nature, the increasing pressure on urban space & increasing technology, we have less opportunity to replenish our mental and physical energy. Incorporating direct or indirect elements of nature into the built environment have been demonstrated through research to reduce stress, blood pressure levels and heart rates, whilst increasing productivity, creativity and well-being. 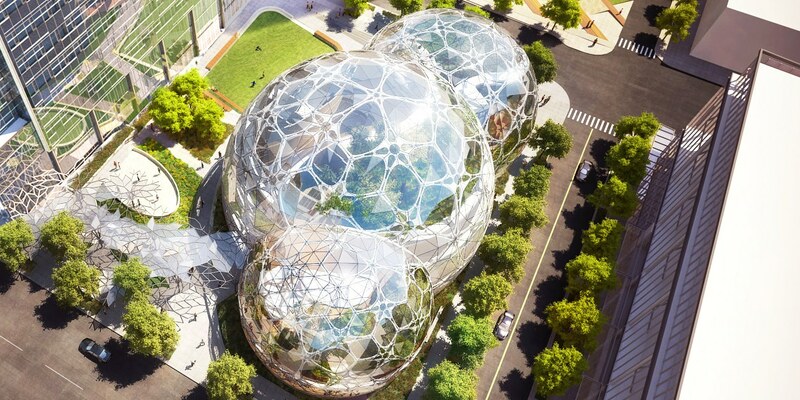 Companies such as Apple, Google and Amazon are investing heavily in Biophilic Design elements. These principles are shown to improve worker concentration, engagement and cognitive ability but also to attract and retain staff. HOW CAN WE IMPLEMENT BIOPHILIC DESIGN PRINCIPLES? Watch the ‘Nature in Office Space’ speaker session from this year’s Feng Shui Society Conference 2018.